Told through tweets, direct messages, and police transcripts. 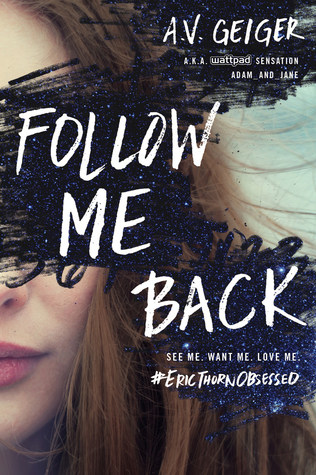 Follow Me Back was an enjoyable YA mystery with a jaw dropping cliffhanger ending. While I went into this thinking it was told only through tweets, direct messages, and police transcripts it's not. It's mixed format. It ended up working really well. Of course, I'm a fan of epistolary novels and may be a tiny bit biased. The best part of Follow Me Back was definitely, without a doubt, the ending. It totally threw me for a loop. I had to read it a second time myself just to make sure I wasn't imagining things. If you hate cliffhangers, you'll want to avoid this one until the next book is out as it's a big one. Though Follow Me Back was a good book, it isn't without its flaws. Because of time jumps, we don't see the relationship between Tessa and Eric develop. This, in my opinion, really hurts the book. In the beginning, there seems to be a lack of action. Seeing the buildup of their relationship would have greatly improved the book for me. Secondly, it takes a very long time to find out what happened with Tessa that lead to her agoraphobia. Like, an almost ridiculous amount of time. It was disappointing and kind of frustrating that we had to wait so long to know what happened with Tessa. I feel like if we found out earlier, it would have built a better connection for readers to her as a character. 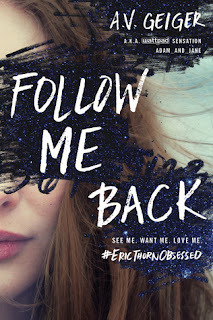 Follow Me Back was a page turner! If you're looking for a mildly thrilling YA mystery, this is the book for you.